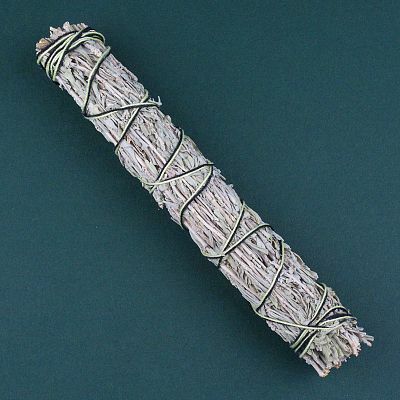 - A 9" wand of deliciously fragrant desert sage mixed with palo santo, suitable for smudging. Smudging is a simple ritual for whenever or wherever you feel the need to cleanse, balance or purify yourself, others, a room, your crystals or other special tools. Palo santo is a sacred wood from Peru, and is related to the frankincense family. This combination of herbs is good for purification and cleansing. Do you have any other questions about our Sage Plus Palo Santo?